Do you remember my blog post on August 18th? It had the title 1,000 Traders – Swapit Just Went 4 Digits. This means in a bit less than 2 months, we were able to grow our user base by over 100%. We’ve been working hard on recruiting more traders onto our platform. It looks like our growth on that end is accelerating. That’s absolutely great, because we need to ensure our hyper-local marketplace comes with enough marketplace liquidity to sustain. Note: the percentages stated above are in relation to the “previous” numbers published in our 1,000 Traders – Swapit Just Went 4 Digits blog post. Remember last month when I wrote this blog post about $400,000 on swapit! Now, we have been working in getting more folks on board and use Swapit to trade their goods. At the same time, we have received lots of love from companies like SoftLayer, Microsoft, Street Value and others. It seems to be paying off! Today the total value of items posted on Swapit surpassed HKD $1,000,000. That’s a total increase of +115% since our last milestone at $400,000. 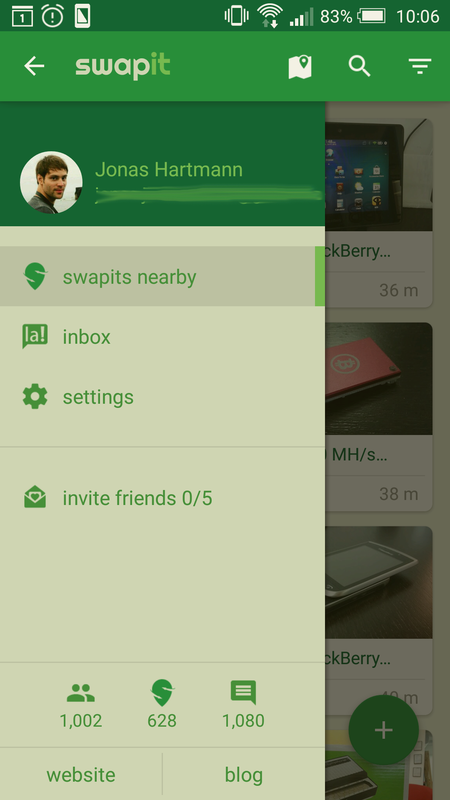 We are currently working hard in getting the swapit beta 9 to you. It’s is almost ready and will come with greater ways to buy or sell your pre-loved items. We are looking forward in getting it to you as soon as possible. Stay tuned! Beta 9 will be released very soon!